RETRO KIMMER'S BLOG: DECEMBER 4 1956!! THE MILLION DOLLAR QUARTET ASSEMBLES IN MEMPHIS! DECEMBER 4 1956!! THE MILLION DOLLAR QUARTET ASSEMBLES IN MEMPHIS! 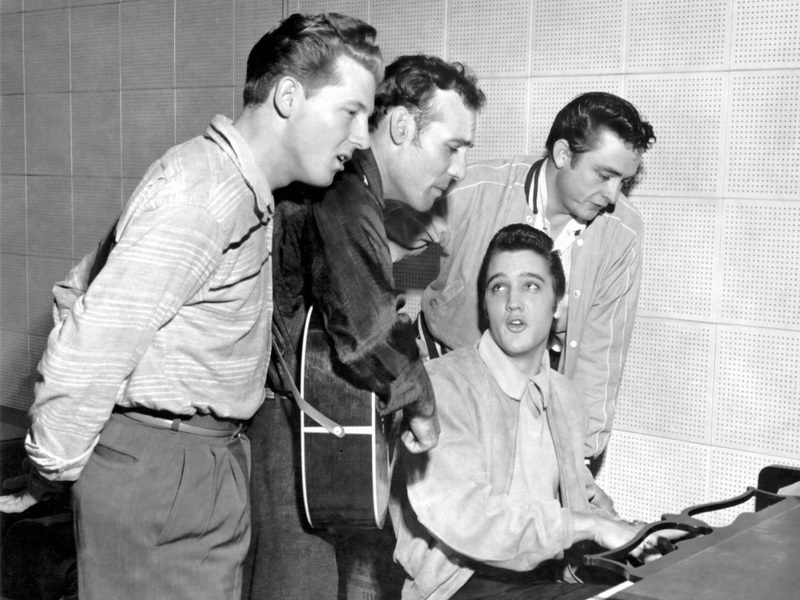 On December 4, 1956, Johnny Cash, Jerry Lee Lewis, Carl Perkins and Elvis Presley assemble at the Sun Record recording studio in Memphis, Tennessee. Established performer Carl Perkins was to record songs with a new performer, Jerry Lee Lewis. Elvis Presley stops by the studio along with his girlfriend, a singer named Dyanne (at the real session, Elvis' girlfriend was a dancer, Marilyn Evans -- now Riehl). Johnny Cash has stopped by to talk to recording impresario Sam Philips. They soon have a jam session together. Philips attempts to re-sign Johnny Cash to a new contract, unaware he has already signed with Columbia Records. Typically, as a member from the Quartet enters for the first time, he sings a verse of one of his most famous songs, followed by an onstage freeze of all actors. During this time Sam Philips relates to the audience how he first discovered the boy, and a brief, few line scene of that moment occurs between Philips and the musician, followed by Sam Phillips asking the boy to play something for him, which is the next verse of the song, and everyone unfreezes. 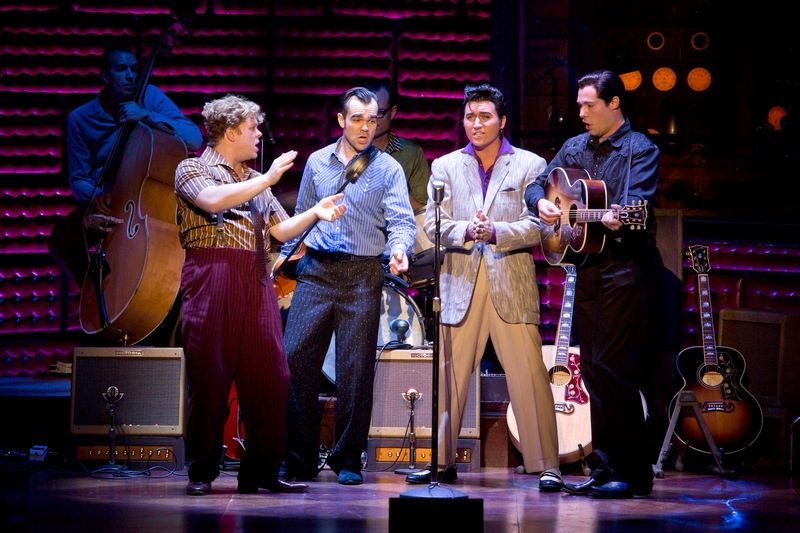 Million Dollar Quartet is a jukebox musical written by Floyd Mutrux and Colin Escott. 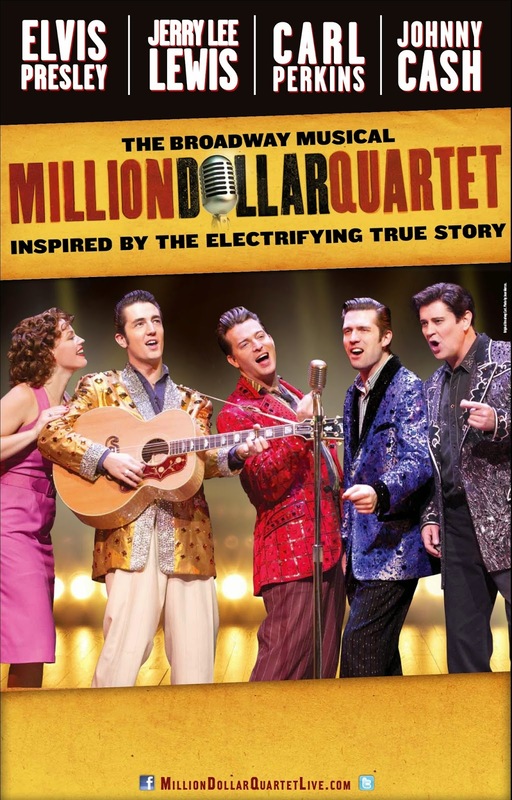 It dramatizes the Million Dollar Quartet recording session of December 4, 1956, among early Rock and roll stars Elvis Presley, Johnny Cash and Carl Perkins, and newcomer Jerry Lee Lewis. The musical opened on Broadway in 2010, after several tryouts and regional productions, and spawned a 2011 West End production...AND NOW ON TOUR IN 2014!